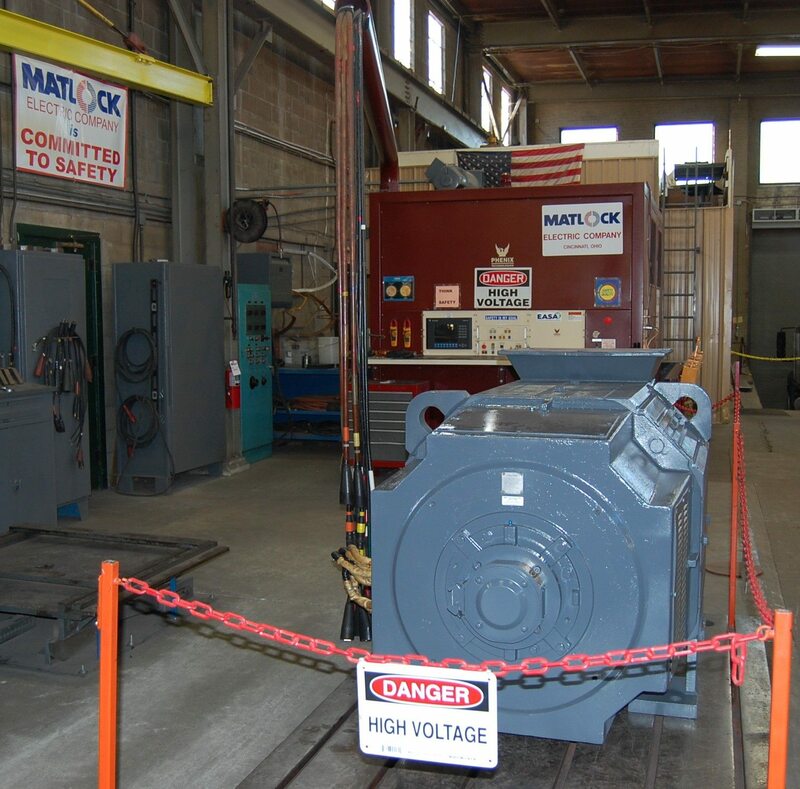 At Matlock Electric, our expert personnel and state-of-the-art diagnostic testing equipment is utilized throughout the remanufacturing process to insure quality workmanship. From this information we provide you with a detailed analysis on all motors incoming and outgoing.. All testing data is documented and logged into our database for future reference and baseline trending. 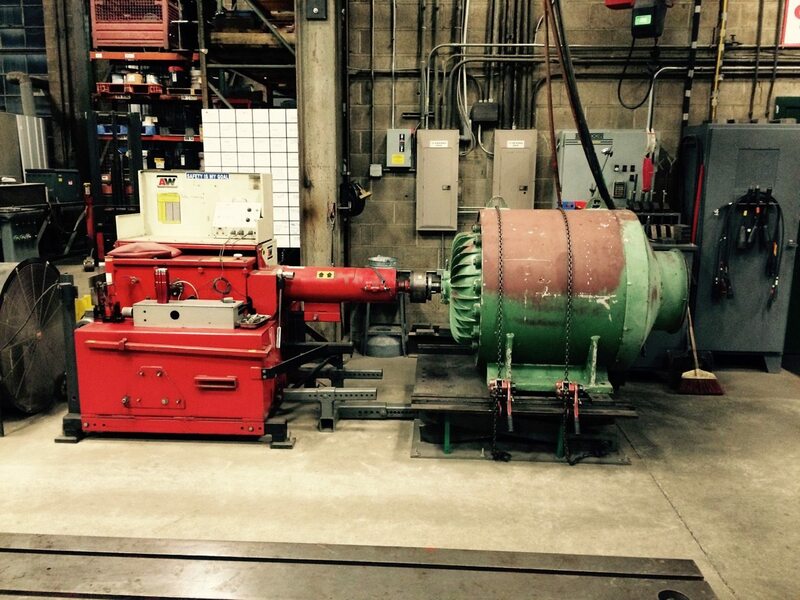 One of the most critical capabilities of an electric motor repair facility is the ability to test-run remanufactured motors at full rated nameplate voltage. This is essential to accurately measure vibration levels and pinpoint mechanical problems that are not always detected at less than full voltage. Designed to provide test stand power for testing of multi-horsepower AC and DC motors. 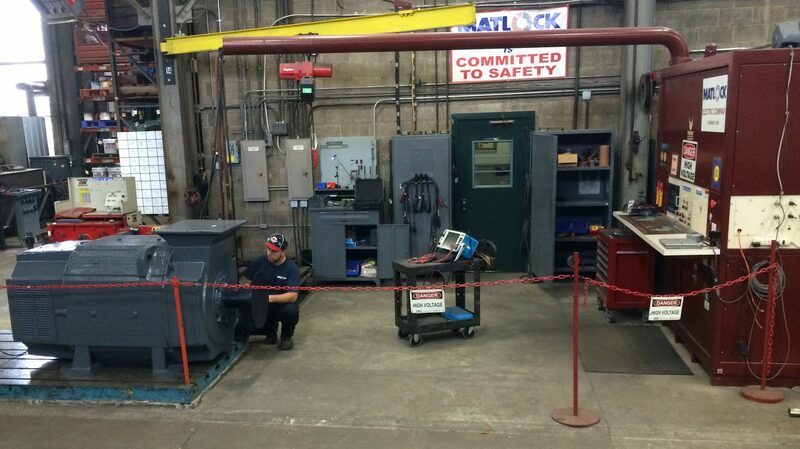 Capabilities of full load and full votage testing rated up to 7000 HP and 13800 Volts. This diagnostic-solution equipment is an accurate testing tool that can easily test AC & DC, traction, and gear reduction motors providing guaranteed motor efficiency. The state-of-the-art AW Dynamometer can simulate actual motor load conditions while, at the same time, measure horsepower and torque output and print a validated written performance test report. This equipment has the power to test the major high-power motors with as much as 3100 ft/lbs of high-torque start-up capability. The MCEmax is a revolutionary tester and one of the most powerful motor-testing tools available. We have two (2) of these revolutionary electrical maintenance testing units. These testers combine the capabilities of the MCE and the Emax into one portable package. The test equipment monitors three phases of voltage and current. Provides testing capabilities up to 5000VDC and offers continuous graphing polarization index and computer automated step voltage tests. The most advanced vibration analyzing model for collecting vibration data. We have DLI Expert Alert Software which allows us to create historical data for archiving on motor repairs for customers. The Analyzer may be used to test equipment on your site. The equipment creates and sends reports for review and analyzing. Tests the core iron of the motor for hot spots and how efficiently it makes a magnetic field. Database, maintenance historical data and printing software capabilities are included. Capabilities include up to 30KV. Tests rewinding resistance mega ohms, PI (polarization index), prints PI graphs and color printouts of all test results, and performs Hipot tests The Baker Surge Tester performs standard surge tests and step-voltage tests. Performs Polarization Index and HiPot testing. 75KV DC Hipot. Capable of 75KV DC high-voltage insulation testing. We can quickly and easily find whether your motors are at risk of premature bearing failure due to VFD-produced bearing currents with the digital oscilloscope, shaft voltage probe tips, and a shaft grounding simulator.